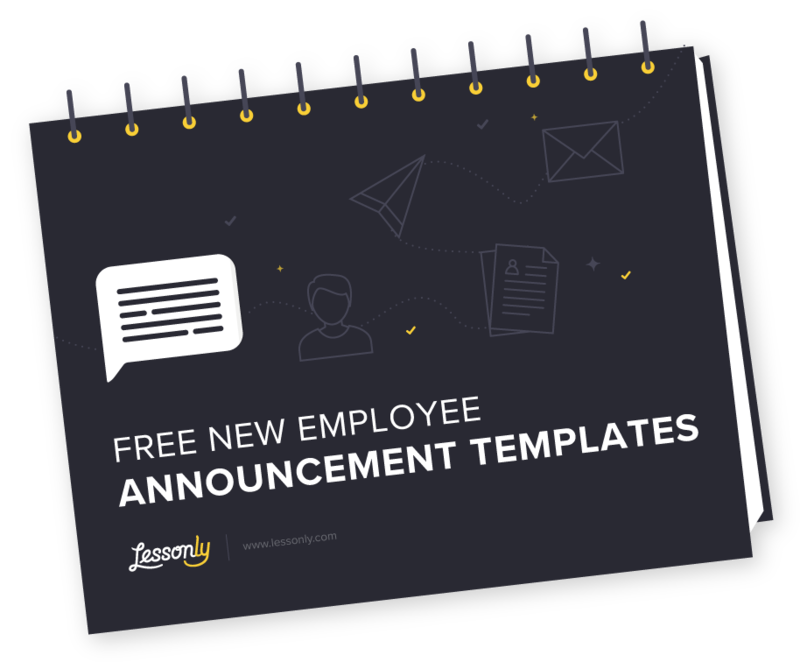 Easily customize this employee announcement template to celebrate and announce all of your new hires. 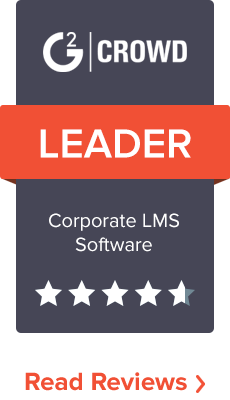 Join the hundreds of teams—from Fortune 100 enterprises to local businesses—who use Lessonly to onboard, train, and continuously enable millions of employees to learn, practice, and Do Better Work. No matter what size company you are a part of, it is important to make new employees feel welcome and at home as quickly as possible. A great way to do that is is write a new employee welcome announcement. This takes different shapes depending on the audience. The typical breakdown of the different types of audiences includes the new employee, the company, key customers, and the general public. We have provided a new employee announcement template for each of these audiences for new executives, new managers, and new individual contributors. One of the most intimate ways to make your new employee feel welcome in their new work environment is to write a welcome letter. A welcome new employee letter does not have to be sappy—but it should convey that you are excited for their arrival and that you’re confident in the results he or she will bring to the company. Since some individuals may think a letter is boring, take that same content and create a welcome card for new employee. A card can bring humor, fun, or whatever sort of sentiment you’d like to add to your new hire welcome card in a visual way. Using a card that reveals your company’s culture is a subtle way to reinforce your goals and vision. A special touch for a welcome letter for your new hire is to have either the person’s boss, an executive, or even the entire company (if company size allows) sign the letter. This will show the individual that they are not only entering an environment with a welcoming manager, but also a welcoming team. In order to make your employee feel personally connected to the company and get them used to the email communication channel of your company, a great first email to receive is a welcome letter from the person who hired them, an executive, or someone else that would seem significant. A welcome on board new employee email should include a personal touch while reflecting your company’s culture. An interesting twist to sending just one welcome email for each new employee is to have everyone on the team email the new hire. This welcome email and new employee announcement will be a memorable moment in the new person’s career at your company and will set a precedent for their expectations of your organization’s warmth. A new employee welcome email could also include still images or animated GIFs to make it more interesting. At Lessonly, we like to take our emails to that next level when welcoming a new employee. Our welcome new employee emails are pretty funny, but above all, we make sure that we convey our excitement for our new teammate to join. Once a new employee has been welcomed into a company on a personal level, it’s important to make sure they have been announced to and welcomed by the entire company. The next step (which is sometimes done even before a new hire starts) is to create a new hire introduction note for the other team members. The announcement of new employees joining is doesn’t need to be over-engineered, that’s why we’ve created the new employee announcement templates above. Be sure to introduce new employees in person as well. When building out your new employee introduction process, including editing the templates above to suit your own needs, remember that fun new employee announcements often go over well. Since most of your company’s communication is serious, feel free to make this one match the lighter side of your company’s culture and add some humor. How often are you sending out a new employee announcement template? Does your new hire announcement template change? Are you making improvements over time or do you just send out the same one? Have you ever wondered how other people structure their new employee announcements? Regardless of how you answer any of these questions, we hope the new employee announcement sample above will help you create a welcoming experience for your new hires. Our sample announcement of new employee joining the team above not only includes a welcome letter template, but also an announcement template to the company in the form of an email, to key customers in the form of an email, and to the public in the form of a press release. A new employee announcement email is a great way for your new hire to feel welcome, but it’s also a great way to inform the rest of your company about your new employee without requiring everyone to have the awkward “who are you” moment. You new employee introduction email should include a general overview of what your new hire will be doing, some personal information about your new employee, and some background information about him/her. Feel free to use the new employee announcement email example above to welcome your new employee. 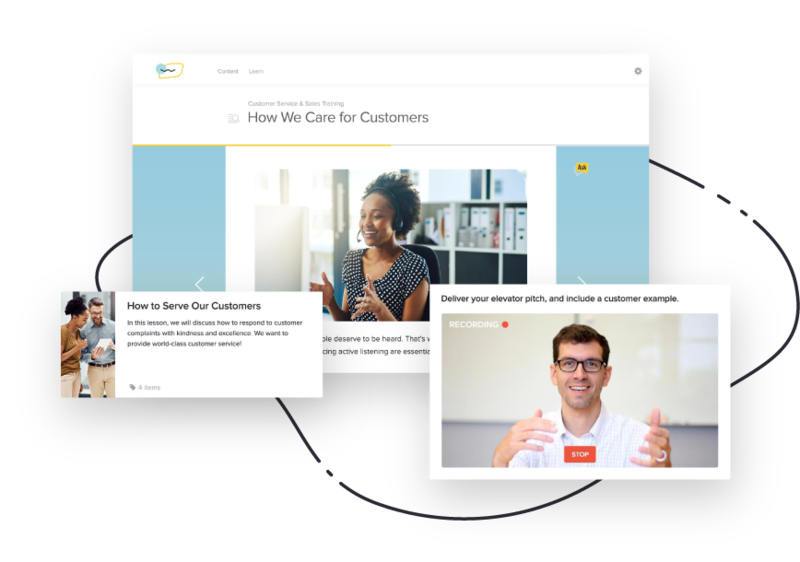 We’ve created the welcome new employee email example to help you see some best practices and provide a starting template for you to adapt to your company’s culture and tone. If your company likes to take a less modern approach to communication, writing a new employee announcement letter to the company is also a great idea. This welcome letter, announcing the new employee will provide the same benefits as the introduction email for a new hire, but will be better accepted if that’s what your employees are used to, or if you don’t have company email addresses. Or, as another alternative, you could use a memo to announce new employee. Regardless of what medium you use for your new employee introduction letter, it will be something that your employee remembers if done right. Use the sample letter of announcement of new employee templates above to understand what guidelines should be used to announce a new employee well. This will get your new employee integrated into your company much faster and better than not having an announcement message. If the new hire will be client-facing and/or have a key role that affects your company’s deliverables, be sure to send a new employee announcement letter to clients once your company is made aware of the new hire. Sending a new employee announcement letter to customers is a great way to set expectations of the potential changes that could be coming to their service. In the above packet of templates, we have included a new employee announcement to clients sample that you can use to promote this proactive communication and get your clients up-to-speed. We believe that communicating this type of hire early and often is a great way to show your clients that you care about them and are constantly trying to improve your company to improve their level of service. Further, we believe that a new employee announcement to customers should be sent for other key individuals as well, such as executives and board members because of their principal direction to the company. In the same way, changes in the form of departing employee announcements, employee promotion announcements, and even employee death announcements in some key roles should also be included in customer communication so that they stay abreast of what’s going on behind the scenes at your company. Finally, once your employee has been welcomed, your company has been informed, and your key customers understand the key changes at your company, a new employee press release is in order. A new employee announcement press release is very similar to other press releases, stating a brief summary of the background of the situation with details of how people could learn more if they want. Launching a press release announcing new hire will help get buzz rumbling around not only about your new employee, but also about your business in general. The sample press release for new hires above will show you how to write a press release announcing a new employee in the most professional and appropriate way. Feel free to use them as often as you find it necessary to inform the public of a new hire. In general, this level of communication is only required if you are part of a very large organization or if the individual has a level of influence that is extremely significant.